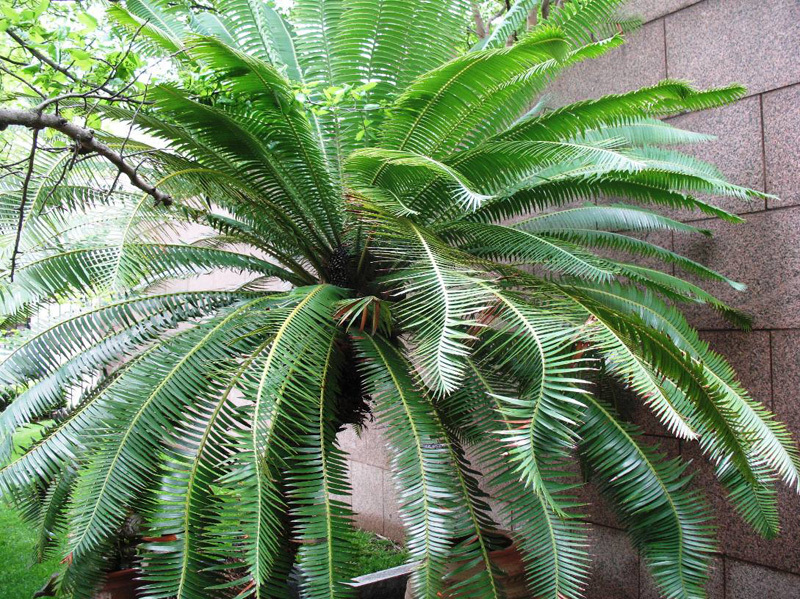 Comments: A cycad, not a palm as it is commonly called. Typical size for a landscape specimen is up to 12 feet high and 6 feet across. In nature it is known to attain a height of about 50 feet. Does well in containers and as a featured landscape specimen where hardy. A dioecious species that produces very large reproductive cones.